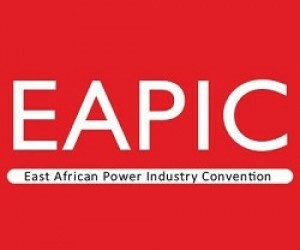 “This is a very exciting time for the electricity sector across East Africa and at Lucy Electric we hope to play a key part in helping to make this a reality” says Phil Dingle, Marketing Director, Lucy Electric, a global secondary distribution leader in the electricity sector and a platinum sponsor at the upcoming East African Power Industry Convention (EAPIC) in Nairobi in September. Phil Dingle continues: “across the East Africa region there is great potential for high volumes of photovoltaic, wind or geothermal energy generation, depending upon the location. Amongst investors there is an increasing appetite for such projects, which present a smaller risk, with a much quicker and quantifiable payback. As a result we are seeing increasing investment in renewable energy sources”. He adds: “Lucy Electric’s switchgear range comes into effect when low carbon technologies head towards 1MW and upwards or where there is a need for local micro grid interconnections or connections to the main grid – and we expect to see rising demand for these products in the future”. Lucy Electric is already very active in the East African region with network automation projects the key focus for utilities in East Africa, according to Phil Dingle. He explains: “we are currently working with Kenya Power on an on-going project to automate the network in the Mombasa region. To date, an end to end distribution automation system (DAS), covering the medium voltage network across 1,661 square kilometres, has been installed. KPLC are already seeing significant benefits with average fault response time reduced from 1 -2 hours to just 30 seconds and customer minutes offline reduced from between 1 – 2 hours to less than 20 seconds. Phase two of the project is on-going, extending the automation of the network to the remaining areas of the coast region and is expected to be finished before the end of the year”. Lucy Electric is also working with the Ugandan distribution company, UMEME, on a project to automate the overhead network in Kampala and the surrounding area. Says Phil: “The project will focus on optimisation of the network to improve quality of supply and will enable UMEME to better manage generation shortfalls, improve fault resolution and allow reconfiguration of the network to ensure essential services are maintained during any power outages. The project is currently in its final stages with the potential to be extended on both the overhead and to the underground network”. Lucy Electric sees great potential in the East African region as “it presents a stable political and economic environment which is very attractive to investors” says Phil Dingle, “and forward-looking governments in the region are proactively developing infrastructure for the future and we anticipate continued investment in the short and medium term”. 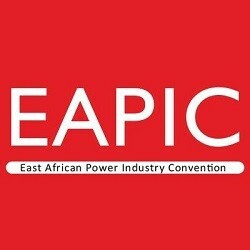 Lucy Electric has been a long-standing partner of the East African Power Industry Convention (EAPIC) which takes place for the 18th time this year, and is expected to gather more than 2000 visitors from more than 30 countries, including from the region’s leading power utilities, large industries and investors as well as dozens of technology and service providers who will showcase their products at the KICC in Nairobi from 21-22 September. EAPIC is organised by Spintelligent, leading Cape Town-based trade exhibition and conference organiser, and the African office of Clarion Events Ltd, based in the UK. Other flagship events in Spintelligent’s power portfolio on the continent are African Utility Week, the West African Power Industry Convention (WAPIC), iPAD Rwanda Power & Mining Investment Forum and iPAD Cameroon Energy & Infrastructure Forum.